Little did they know that within a few hours they would all be working to save the life of their practice receptionist. Heather Hall 49, suffered a cardiac arrest at the surgery. Fortunately, the team had recently updated their CPR training and the surgery’s protocol was fresh in their minds. They knew what to do and immediately put their emergency plan into action. I was with a patient when I heard some loud shouting coming from downstairs and Sally our hygienist ran up and said I was urgently needed. Heather was slumped back in her chair. Her mouth was slightly open and her arms hanging loosely beside her. My first thought was to get her to the floor as I thought she had fainted. Next I checked her vital functions – my heart sank! There was nothing….no breathing, no signs of life. All these checks were done in a few seconds. It was as if something inside me switched on. I immediately positioned myself and started chest compressions. Outside I could hear the sirens of the emergency vehicle. Somebody in the team had called 999. It was fortuitous that we had recently completed our training as our protocols seemed to work well. I couldn’t believe what was happening. My heart was sinking and I was feeling weak. My eyes were fixed on Heather’s limp body. The paramedics arrived and took over but I saw no sign of life as they were compressing her chest. They then prepared the area for the defib procedure. “Our training was crucial in helping save Heather’s life,“ explained Dr. Hagen. When we set up Safe and Sound, our motivation was simple: to help save lives. This story is an illustration that we are achieving that. 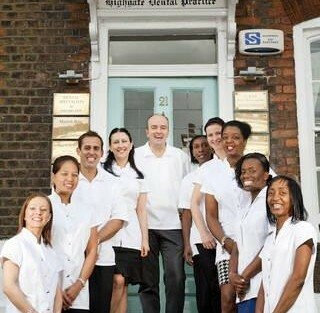 We are delighted that Heather has made a full recovery and is back at work at Highgate Dental Practice. 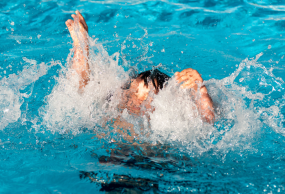 Near drowning is a term used to describe almost dying from suffocating under water. 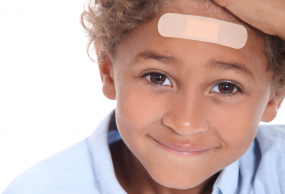 It can sometimes happen hours after a near drowning incident. 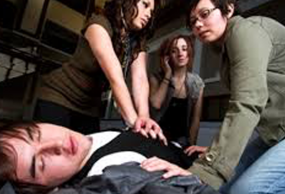 So you have attended a first aid course but would you really know what to do in an emergency?